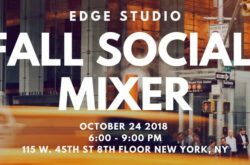 Join Edge Studio, the leading authority in voice-over education and production for their Fall Mixer. Enjoy snacks. drinks. demo listening parties, booth portraits, raffles and so much FUN!! Plus, get a chance to mingle with fellow Edge Students and Voice-Over Professionals in their Times Square studios. 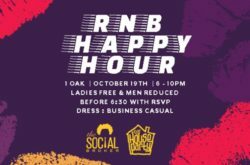 Join The Social Broker and House Party at 1 Oak for the 90’s RNB vibes happy hour where your favorite rhythm and blues song is the backdrop sound for lasting summer 2018 nostalgic memories. Ladies are free and men are reduced before 6:30 pm with RSVP. Dress is business Casual. 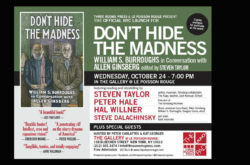 Come out for the official NYC launch of Don’t Hide The Madness William S. Burroughs in Conversation with Allen Ginsberg edited by Steven Taylor at (le) Poisson Rouge. Enjoy an evening of readings and storytelling featuring Steven Taylor (Ginsberg collaborator; The Fugs); Peter Hale (executor of The Ginsberg Archives); Hal Willner (music producer: Lou Reed, Allen Ginsberg, William S. Burroughs, et al); Steve Dalachinsky (poet, Beat associate) plus special guests. Three Rooms Press presents an evening of reading and storytelling around Beat culture at the NYC launch of DON’T HIDE THE MADNESS: William S. Burroughs in Conversation with Allen Ginsberg. The event will be held in The Gallery at Le Poisson Rouge (158 Bleecker Street at Thompson) on Wednesday, October 24, 7 pm. Admission is free. The event features readings from the book and storytelling about legendary Beat icons from key collaborators and associates. Featured performers include Steven Taylor, editor of DON’T HIDE THE MADNESS; Peter Hale, Ginsberg Archives executor; Hal Willner, revered NYC music producer; and Steve Dalachinsky, internationally-renowned poet and Beat associate. Copies of DON’T HIDE THE MADNESS will be available for purchase at the event. The event is free and open to the public. 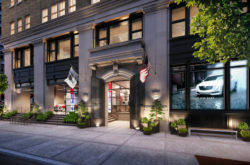 For reservations and additional information, contact Peter Carlaftes: 212-731-0574; info@threeroomspress.com. 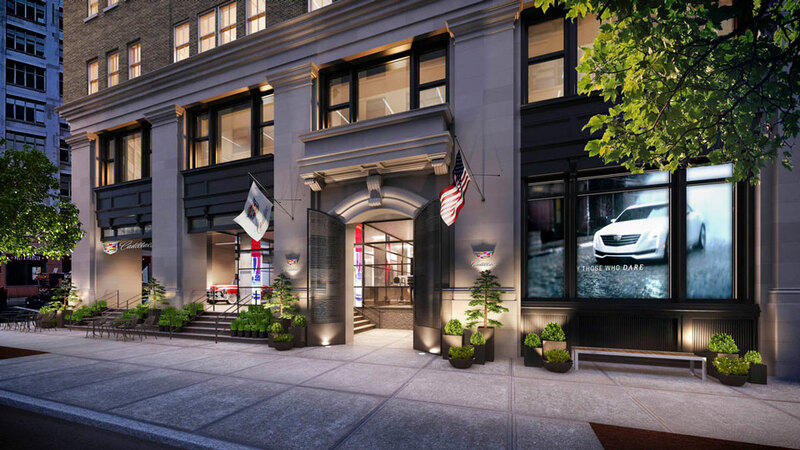 Cadillac House is celebrating two years in the neighborhood. Join us as we transform our space into a classic ice cream parlor, serving Morgenstern’s ice cream and Joe cold brew compliments of the house. Experience Cadillac in Virtual Reality to unlock the ice cream sundae menu for a special treat. 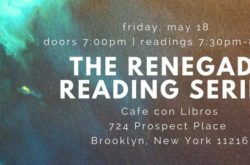 Join The Renegade Reading Series at the feminist community bookstore and cafe, Cafe Con Libros, for their next Renegade Reading Series in their new home. Doors at 7pm and readers from 7:30pm – 8:30pm. Drinks after at 99 Rogers. The Renegade Reading Series showcases emerging writers each month. JODI SAVAGE is a writer and attorney living in Brooklyn. Her writing has appeared or is forthcoming in Catapult, Women’s Studies Quarterly, Wear Your Voice Magazine, and The Establishment. She is also a contributing editor for Kweli Journal. Learn more at www.jodimsavage.com. AARTI MONTEIRO is a fiction writer and educator. She holds an MFA in Fiction from Rutgers University-Newark. She is a VONA/Voices alum and Virginia Center for the Creative Arts Fellow. She runs a writing program at a middle school in East Harlem through the education nonprofit 826NYC. Aarti is working on a novel in stories that deals with home, loss, and identity. Born and raised in India and Illinois, she currently lives in Brooklyn, NY. Find out more at www.aartimonteiro.com.